For whatever reason, something brought you HERE. Maybe you heard me speak in the past and you’re curious about what else I have to offer. You heard me speak for an hour or deliver a full-day training program and you know I’ve got several different programs, all unique with no overlap between them. Maybe someone told you to check me out. They said, “That guy’s really good.” After all, 92% of my business comes from super-excited customers and their referrals. Maybe you’ve read one or more of my five books and 800+ articles and you want to learn more about what I have to say. Maybe an Internet search on certain keywords brought you here and you don’t know a thing about me … except the fact that our keywords seem to overlap. Any and all of those reasons are great! I am not only a great resource, but I’m also a speaker with an unbeatable track record of results with my clients. So let me explain what I do and how I deliver results for my clients … and hopefully, you as well. What Do I Speak About? The Short Answer. As you can imagine, prospective customers and ongoing clients may not specify one of my three key areas of expertise … attitude, communication, and leadership. More often than not, they will phrase their keynote and seminar needs in terms of a HOW question. As you read through some of their questions, I would guess you have some of the same issues in your organization. So pay particular attention to the keywords in their questions … because I can answer these questions for you at your next meeting. How do we really and truly motivate the best in others? How do we engage the full and willing cooperation of others? How do we build stronger, more positive work relationships? How do the most effective leaders think, act, and execute their ideas? How can we do a great job and still have a healthy work-life balance? How can we build and maintain a positive attitude all the time? How can we lessen or eliminate the negative talk we hear in the workplace? How can we define and then live by our purpose? How can we set and then make sure we achieve our goals? How can we make change and risk-taking work for us instead of against us? How can we resolve conflicts more quickly and constructively? How can we become more effective communicators and listeners? How do we clarify and then make sure we adhere to our values? How do we build a lasting self-confidence that is not dazed by challenges? How can we recognize our people in a meaningful, results-producing manner? How do we turn a group of people into a high functioning team? How do we hold ourselves and others accountable for results? How can I be at my very best all the time, no matter what the situation? If by chance, you don’t see your question listed above, if you’re not sure if I would or could address your particular situation, please ask me. I will give you an honest answer. If I can deliver a great program and help you achieve the outcomes you want, I will tell you so. But if I’m not a good fit for your meeting and your objectives, I’ll also tell you that. I’ve given more than 2500 programs in 49 states and 22 countries. And I continue to be extremely active with my clients. Why? Why do people keep booking me? When people ask about the possibility of having me speak at their meetings, they usually do so for one of two reasons. You probably fit into one of these two categories. First, you’re doing quite well, and you want to keep on doing well. All of those are good positive reasons to hold a meeting and have me speak to your people. 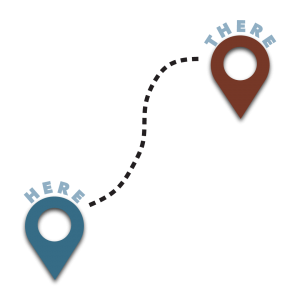 As the diagram illustrates, you are here (which is a pretty good place to be), and you want to be there (reinforcing and reinvigorating the good in your organization). I can do that for you, as I have with hundreds of other clients. The second reason people hire me is they’re facing some challenges and they want to make things much more positive, productive, and/or profitable. Perhaps that sounds like your situation. You want some specific, hands-on, down-to-earth skills and strategies that will help you and your people grow, change, and improve … personally … professionally … and organizationally. Instead of being here in the midst of your change and challenge, you want to be there (which is a great deal better than where you are now). I can also help you with that. That’s why I offer five different programs, each adapted to fit with your objectives and timeframes, rather than take a cookie-cutter, one-size-fits-all approach. 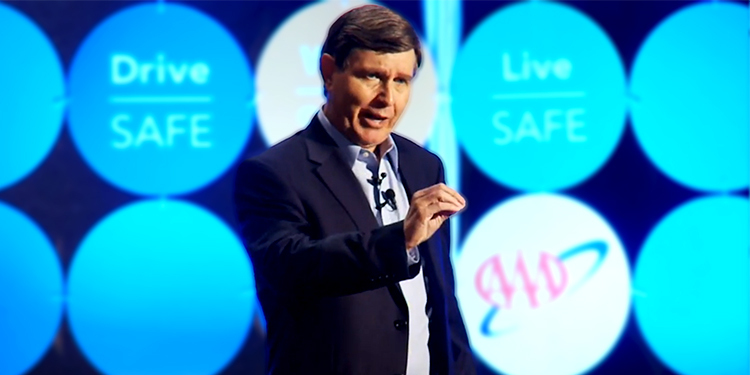 Sometimes, you may want a sixty or ninety-minute keynote that drives home your theme. Other times, you may want a half, full or even a two-day training program that digs in deeper, so the participants master and adopt a certain set of skills, behaviors, and attitudes. Let me assure you I’ve worked with dozens and dozens of organizations in similar situations. However, I also know your organization is unique in several ways. 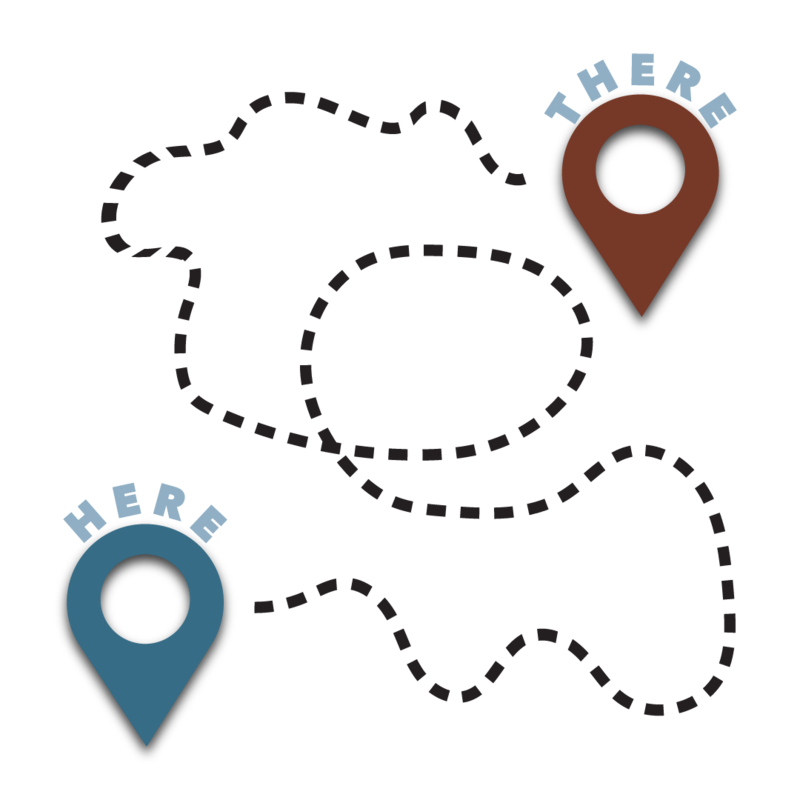 So I will listen to you describe where you are and where you want your people, team, and/or organization to be. And then I will create a program that fits perfectly with what you are trying to achieve and the amount of time you have. Of course, you may be wondering if it pays to have me speak at your meeting. After all, that is the bottom line, isn’t it? To make things better. That’s the main reason you have meetings and training sessions in the first place. Otherwise, you’re just wasting your time and money. 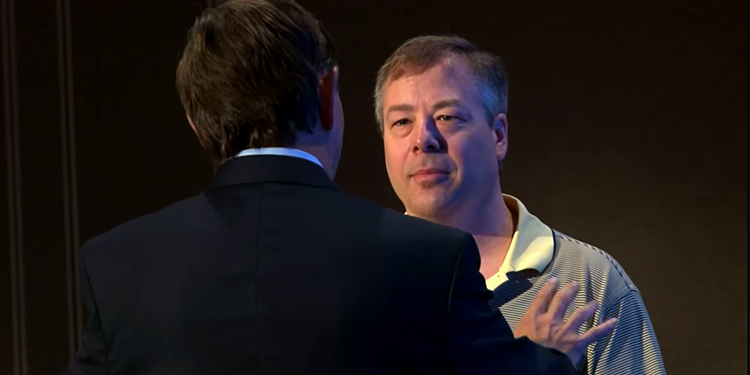 No matter what the specific topic may be, every one of my keynotes and seminars is designed to help you resolve two problems. First, I give you the tools to crack our current communication crisis … where people are more connected but less engaged than ever before. In a world of increasing demands on the job, increasing time pressures in your life, and increasing competition from every corner of the world, everyone in your organization is probably connected … electronically that is. But that is far different from being truly engaged. You can no longer afford to have people who do just enough to get by.…who are less than fully engaged. And you can no longer afford to have people who are unwilling or incapable of working effectively with others. They must learn HOW to go beyond connection to engagement. I will help you with that. Second, I give you the tools for transforming the PEOPLE side of your organization. As you well know, you need a good product or service to have a business. 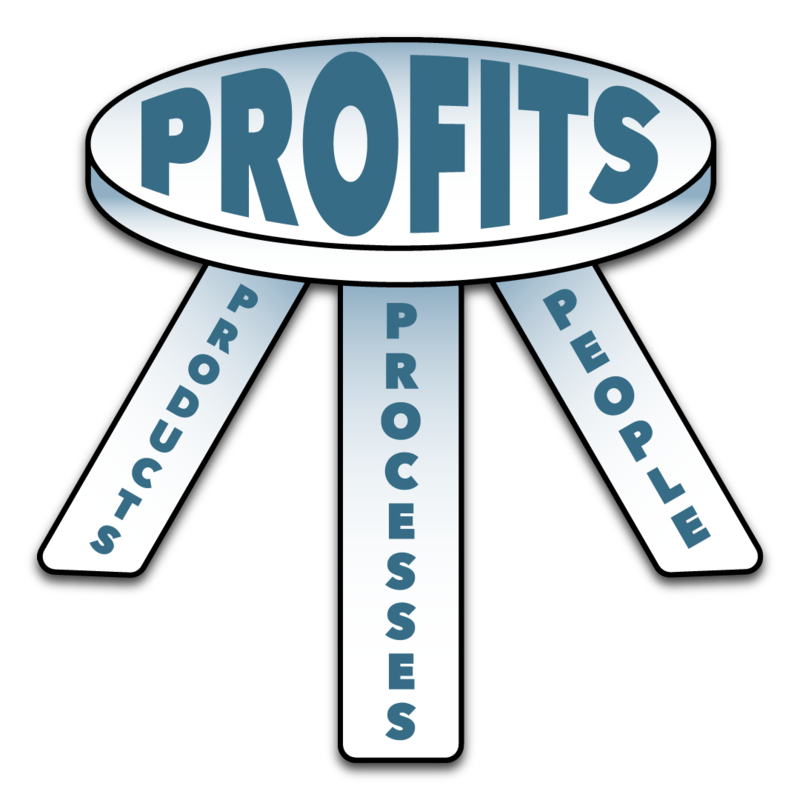 You need some effective processes to operate your organization. And you need people to make, sell, deliver, and maintain your goods and services. It’s like a 3-legged stool. When you have great products, processes, and people all working together, you get the top of the stool or the profits you want and need. It’s a set-up for trouble. I’ve even heard people say, “We promote people if they do a good job,” even though their past job had little to do with the people skills they’ll need in their next job. Or they’ll say, “We have our own in-house training department,” forgetting how vitally important it is to get a new and fresh outside perspective once in a while. And forgetting that much, if not all, of their training is focused on job-specific Products and Processes. It’s a set-up for trouble because the research says your people skills are one of the most important factors … if not the MOST IMPORTANT factor … in your success on and off the job. You simply cannot leave that leg of the stool to chance. So my programs give you a specific, step-by-step approach for dealing with, communicating with, and working with others. Skills for influencing and leading others. And the emotional intelligence skills that bring out your own very best self. In other words, the people skills that you and your colleagues not only need but will value for years to come. Now that you’re more familiar with my topics, my areas of expertise, and the problems I can help you resolve, you’re probably curious as to how I deliver my keynotes and seminars. What’s my approach? Will it fit with your audience? And what will your people experience with one of my programs. Glad you asked. With every one of my programs, you get three things in addition to good, solid, hard-hitting content. Most team members feel like there’s too much work, too much change, and too little time to get things done. They’re stressed out. And the same thing goes for most team leaders, supervisors, managers, and leaders. So the last thing your people want is another boring or poorly delivered presentation that makes them feel like the program is a waste of time. The way I combat stress, negativity, or just plain tiredness in an organization is by injecting High Energy into every program. My humor, passion, and stories … including my own stories of incredible success and humiliating failure … connect with the audience on a very deep level. However, energy in and of itself is not enough. We’ve all learned that the old-fashioned rah-rah-rah motivational speaker did nothing more than give us nice warm fuzzy feelings that soon faded away. That’s Communication 1.0. And I certainly believe in the value and power of motivation. Indeed, you will find all my programs to be highly motivational. BUT, motivation without education is dangerous. If you motivate an idiot, all you get is a motivated idiot. Or perhaps I should say my programs focus on highly practical, immediately useable, longer lasting education. After all, the market is flooded with flavor-of-the-month training and the latest buzz-word keynotes in business. And they all look promising in the beginning but are seldom followed through. And they do … follow through. I make sure every one of my programs is filled with tips and tactics, skills and strategies that your people can use back on their jobs the moment the program finishes. That way they get instant results. Like you, I’ve found that most audiences don’t care that much about some esoteric, academic theory or some fancy psychobabble. Instead, they just want to know what works when it comes to their own peak performance or bringing out the best in others. So that’s exactly what I focus on: Information and education that has proven to work and has been fine-tuned with my own decades of research and personal experience with incredible successes and devastating failures. It’s what I call Communication 2.0 … or the combination of High Energy and High Education. You’ve got to have both. Because … education without motivation serves no useful purpose. The world already has too many highly educated people who don’t achieve anywhere near what they could possibly achieve. I’ll do my best to not only educate but also motivate your people. And if you like, I’ll even work with you to make sure my message is remembered and being utilized long after the program is over. In fact, I tell my prospective clients that if they simply want a straight lecture and a bunch of PowerPoint slides, if they just want their audience to sit back and listen but not get involved in the presentation, then I’m not the right guy to hire. I don’t believe people get better at any of the attitude, communication, and leadership topics I teach by simply hearing about them. The people have to be engaged in the learning process. So my programs are filled with fun, safe, meaningful, and unforgettable activities that drive home the points your people are learning. Your people will be out of their seats, working with, and talking to other folks in the audience. They’ll be so involved they won’t drift off or even think about checking their smartphones. An audience needs High Energy, or Communication 1.0, so they can focus on the things they’re being taught. 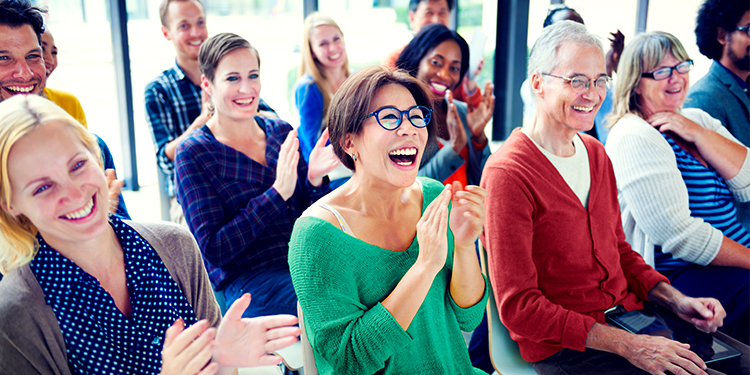 An audience needs High Education, or Communication 2.0, so they will feel like their time is well spent. And audiences need High Engagement, or Communication 3.0, if they are going to remember what they heard. As your group and your organization experience all three elements in my programs, you will experience a very positive R.O.I., just like my hundreds of other clients. Well, not to sound egotistical, but my programs and my writings are based on 30 years of research and a whole bunch of experience, which you can read below if you want to know more about me. For years, I kept asking myself why some people … who have so little going for them … accomplish so much. And why do other people … who have so much going for them … accomplish so little? I believe I found some answers. There is something simple, powerful and practical that can be done to bring out the very best in people, no matter where they might be. Likewise, I kept asking why some teams … that have so many challenges and obstacles …still turn out amazing results. And why do other teams … filled with great potential and good people … get held back by stress, attitude, communication, relationship, and leadership issues? Again, I believe I found some compelling answers. I call it The Payoff Principle. It’s the immutable law of personal and professional success. My research revealed that in 94% of the cases where people get over-the-top results, the people apply The Payoff Principle to their life and work, whether consciously or accidentally. The other 6% get ahead because of dumb luck. Tragically, the vast majority of people get less-than-stellar results because they overlook The Payoff Principle. The good news is you don’t have to rely on dumb luck for greater success. And you are not stuck with results that are anything less than excellent. All you have to do is use The Payoff Principle. In my model… it looks like this, whereas Payoff represents what you want to have … such things as more positive attitudes, clearer communication, higher levels of engagement, a healthier bottom line, more work-life balance, better teamwork, more effective leadership, etc. To get the very best from yourself and others, you need all three elements. Miss one or two of them and you’re bound to have more problems than successes. Other people have some sense of direction and a few goals, but without an enduring Passion, they give up before they see the Payoffs. Still other people have the best of intentions and positive attitudes, but they lack the Process for turning it into reality. They never mastered the soft skills of communication and leadership that are so critical in a world where people are more connected but less engaged than ever before. 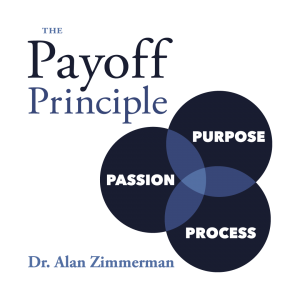 Discovering and using The Payoff Principle has made all the difference in the world for my hundreds and thousands of clients in business, healthcare, government, education and their professional associations. So whether or not I share this model in one of my presentations, you can be sure that my work is grounded in research that has proven to be not only reliable and powerful but also easy to understand and use. And even today, I attend at least 40 hours of training every year to keep myself sharp, up-to-date, and better able to serve my clients. Ignoring fads, gimmicks and flavor-of-the-month pop psychology, long ago I adopted a simple and unwavering approach to business development: if it doesn’t make you happier or your organization more successful, I won’t waste your time talking about it. Being honored with the Distinguished Faculty Award by the Institute of Management Studies (IMS), an award that has been given to less than 10 of their 2000 business seminar speakers worldwide in the past 40 years. And I’ve been given that award twice by IMS. As the business world grew more competitive and as organizations clamored for skills that would unleash the human capital in their people, I was drafted into a new career as a keynote speaker, seminar leader, author, and coach. At the ripe-old age of 36, I resigned my tenured position at the university and launched my own company. Just so you know, I do not speak to your organization as some ivory-tower wannabe. I’ve actually done everything I teach. From selling greeting cards door-to-door at the age of seven, owning an international import business at the age of 14, and building one of the most honored speaking and training businesses in the industry, I speak from a lifetime of experience and accomplishment. A keynote speaker and seminar leader for more than 20 years. Delivered more than 2,000 programs in 49 states and 22 countries. Worked with Fortune 500 companies, small businesses, professional associations, government, education, and healthcare organizations. Earned the CSP (Certified Speaking Professional) designation, placing me among the top 7% of all speakers worldwide. 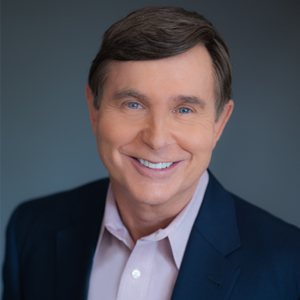 Inducted into the Speakers Hall of Fame, limited to a small handful of people over the last 30 years, including such notables as President Ronald Reagan, General Colin Powell and best-selling authors Dr. Ken Blanchard and Jack Canfield. Won state and national speaking competition championships for six consecutive years. Maintain an astonishing repeat and referral rate of 92% every year I’ve been in business. After working in many different industries, from retail sales, hotel hospitality, education, corrections, radio broadcasting, and recreation management, I can tell you that I know business intimately. And I’ve experienced business on every level. I began as an entry-level employee, served as an individual contributor, advanced to management and executive leadership positions, and then launched and managed several businesses of my own. I’ve been there; I’ve lived it, and the lessons from all of these experiences weren’t lost on me. Founded Zimmerman Communi-Care Network, Inc., a speaking-training-consulting-coaching firm with offices in the United States and the United Kingdom. Write “Dr. Zimmerman’s Tuesday Tip,” one of the longest lasting and most heavily subscribed newsletters in the world. Author of several best-selling books, eBooks, CDs, MP3s, and DVDs. from the University of Wisconsin. Thanks so much for coming to this page and checking out the work I do. As you can probably tell, I’m never going stop learning; education is a part of my day every day. And I’ll never stop teaching because the things I’ve learned are just too important to keep to myself. I speak from my head … because I really do know what works and doesn’t work. And I speak from my heart … because I’ve lived it; the highs, the lows, the getting knocked down and climbing back up. I look forward to talking with you and working with your people and your organization so you, too, can learn how to transform the people part of your business. Feel free to give me a call (1-800-621-7881) or send me an email ([email protected]) so we can discuss the next step. Subscribe & Get Free eBook! 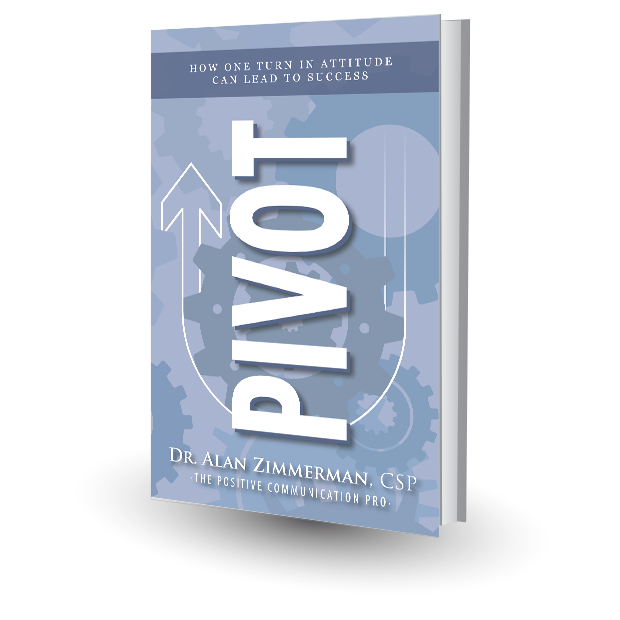 Subscribe to my weekly Tuesday Tip, and get your .pdf copy of my best-selling book, "PIVOT: How One Turn in Attitude Can Lead to Success." See Dr. Z in Action! Get New and Powerful Strategies on attitude, motivation and leadership delivered to your inbox every Tuesday. Discover the 3 secrets for getting what you want out of life and work.